I love coaching...especially the kids. Something I have added into all of my kids classes at SBG Niagara has become a very powerful addition to our "Growing Gorillas Children's Martial Arts and Life Skills Program", as I have witnessed the improvements with the kids over the past 6 weeks. After we run through "roll call", I ask the question to all the kids "Can you tell me one thing that makes YOU an amazing person?". When I started this we had more than half the kids shrugging their shoulders, not able to give an answer.When that happened I would tell them something about themselves that I felt made them an amazing person. 6 weeks later I now have EVERY child, even those who are very shy, answering with at least one thing they feel makes them amazing. Some kids still need a bit of time to answer, but that's ok, I've got nothing but time. I explain to them why we do this. They are told every class it does not matter if I or their parents believe they are amazing, THEY have to believe it....they have to believe in themselves! And I am loving the results!! Something else we have been talking about is being strong. All my kids are being taught that there are 3 strengths....physical, emotional and mental. I tell them Physical is the easiest to build. Emotional is the toughest to control. Mental is the strongest one of them all, and it plays a big part in helping with the other two. We have daily mat chats about these. I give examples, let them know how to be successful at them, but most important to me, is I teach them that they will experience times of weakness in all 3 areas, and that is ok. Those are the times they need to talk about things with someone, and they know they talk to "Coach" anytime. 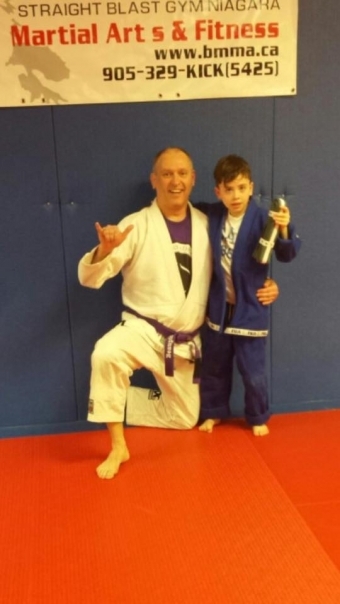 This is just one example of things that happen at SBG Niagara in our Children's Martial Arts and Life Skills Program, and why we are the leader in Martial Arts and Life Skills training in St.Catharines and the Niagara Region.